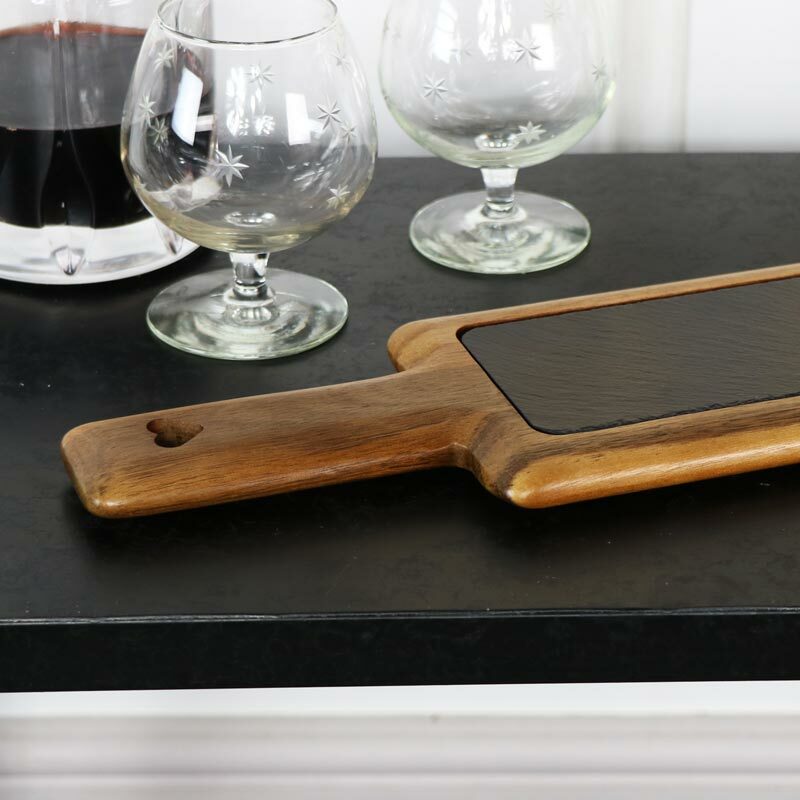 Serve your guests in style with this great little serving board/platter, perfect for presenting appetisers and delicacies. Very stylish in a quanit country cottage style with a slate board safely nestled in an acacia hardwood, the perfect accompaniment for dinner parties. A great gift idea for friends or family and especially the chefs and food lovers. 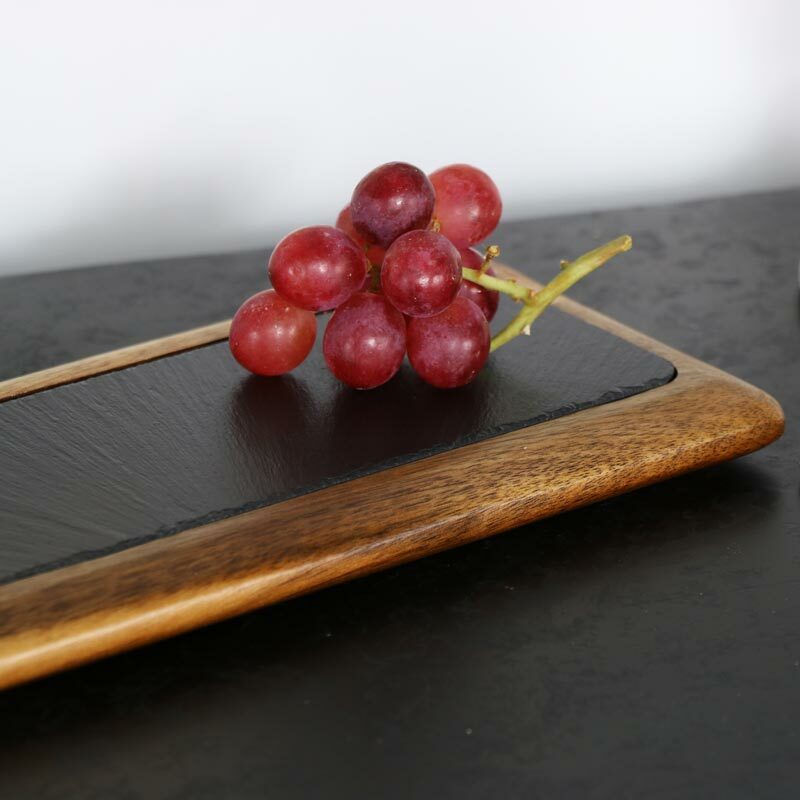 Serve your guests in style with this great little serving board/platter, perfect for presenting appetisers and delicacies. 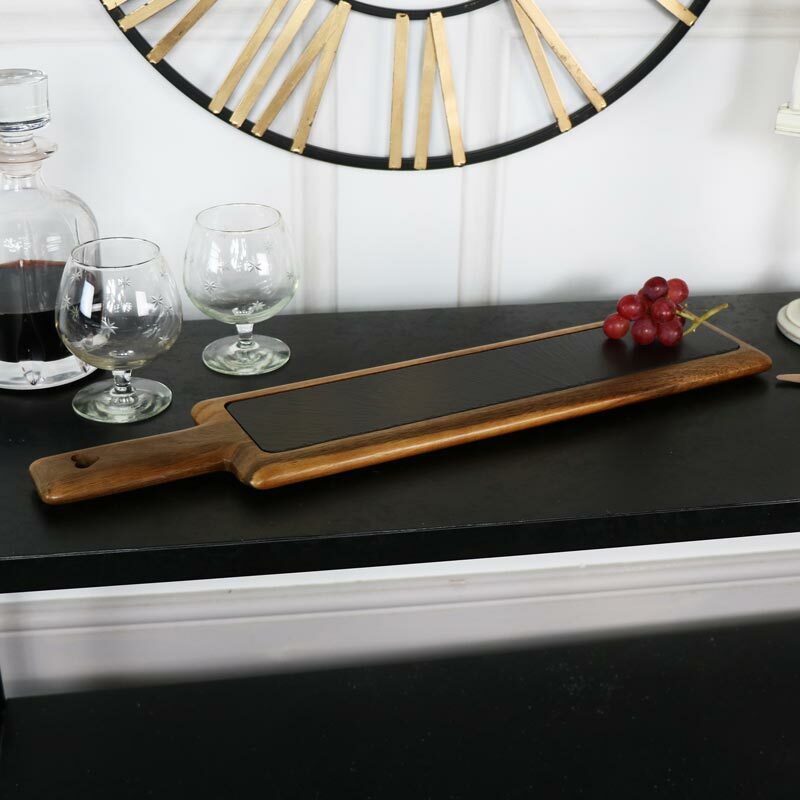 Very stylish in a quanit country cottage style with a slate board safely nestled in an acacia hardwood, the perfect accompaniment for dinner parties. A great gift idea for friends or family and especially the chefs and food lovers. Acacia hardwood board with removeable slate board. Heart shape cutout in the handle adds to rustic country charm. Part of our fantastic range of gifts and home accessories. Never be stuck for gift ideas again with a huge selection to choose from.